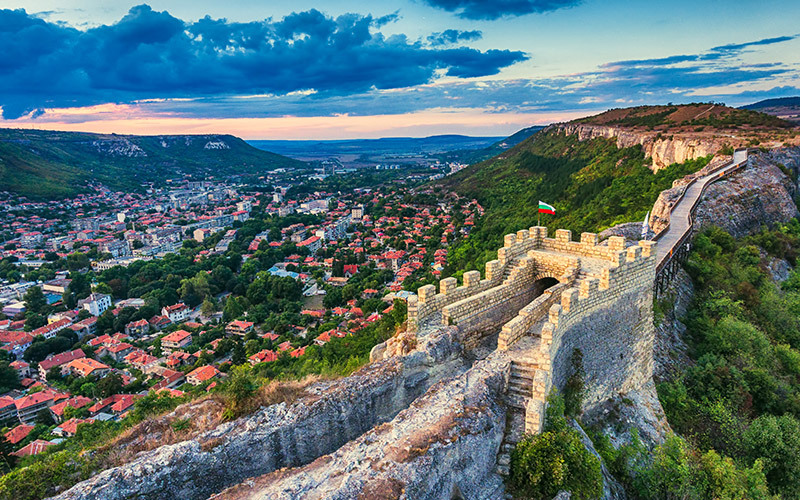 When you visit a country as old as Bulgaria, you can expect to see a lot of historical sites! Many parts of the country have been inhabited by tribes since the 4th century BC. 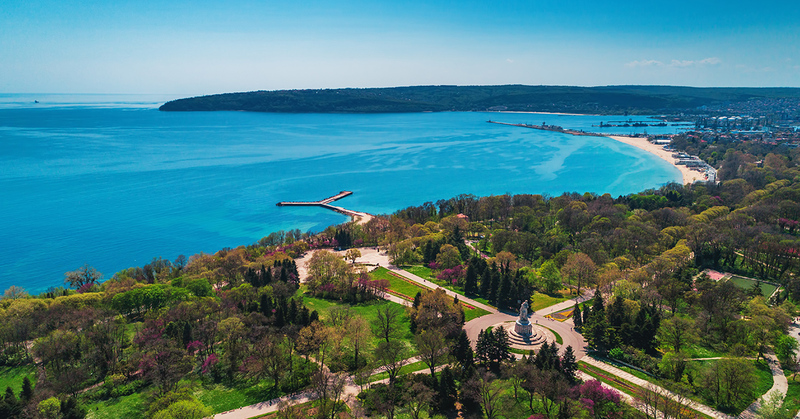 The region of Varna is no exception, so here are just a few of the interesting and unique historic places to visit West of Varna! 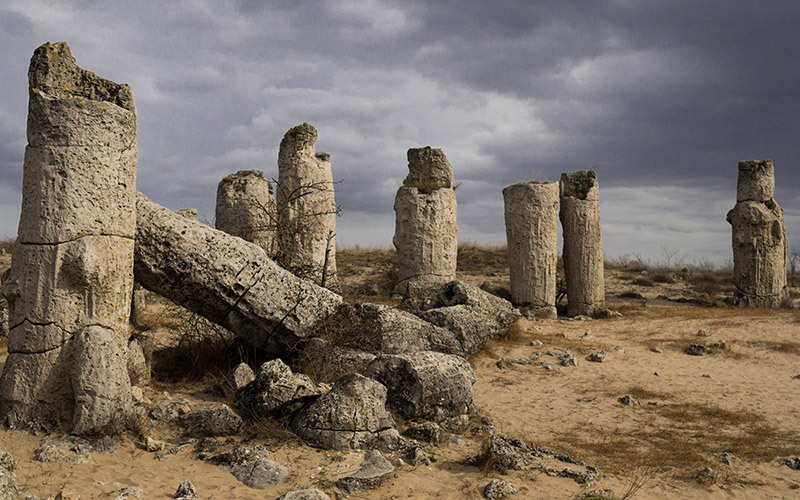 You can find Devnya where the ancient Roman city of Marcianopolis once was. The two main roads are still clearly visible (they were the 2 most important crossroads of the city). The Museum of Mosaics is listed #10 among the 100 Tourist sites in Bulgaria and has the largest collection of mosaics in the country. It was built on top of a large ruined Roman villa from the late Antiquity period (3rd – 4th century). The most interesting thing to see is the large mosaic covering the floor of the living room that shows the goddess Athena Paladis and Medusa Gorgona. 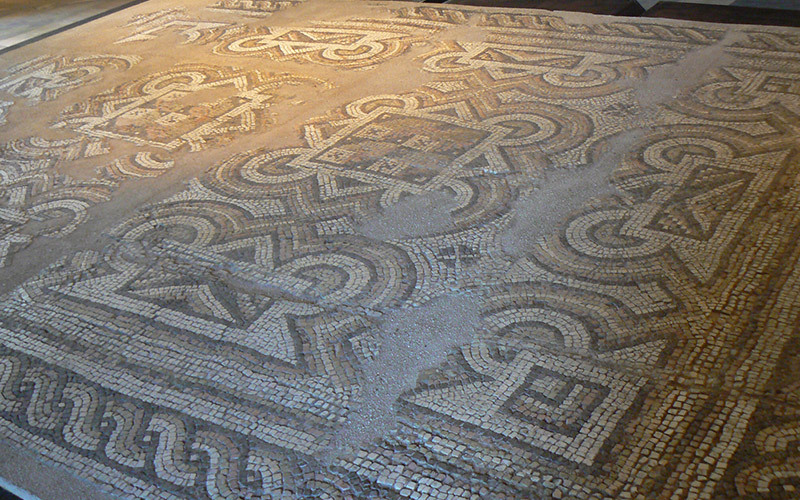 The mosaics displayed are authentic and some are even in their original location. A desert in Europe? Yes! Here in Bulgaria, you can see a real desert with unique natural rock formations. The Stone Forest is the only place in Bulgaria where archaeologists found evidence of human life from the Mesolithic period (they are believed to be 50 million years old). This beautiful, natural phenomenon is the only one of its kind in the country and a really interesting place to visit. There are a few theories of how it came to be. The most popular is that the rock formations formed as a result of environmental factors – sea waves, wind, rain, algae. The Stone Forest attracts many visitors and tourists during the summer and is very easy to reach by car. 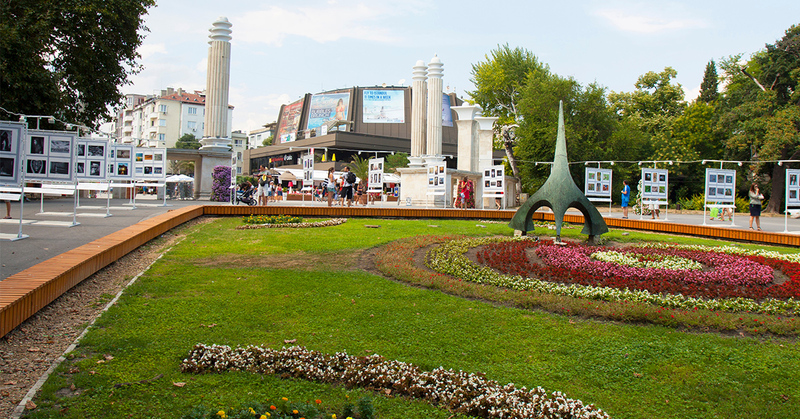 With Varna City Card you get free admission to the Stone Forest! The medieval fortress Ovech is located over today’s town of Provadia (it was originally built by the Byzantines in the 4th century but Thracians were believed to have been there before that). During the golden years of Ovech in the 12th-14th century, the fortress was a military, religious, economic, and administrative centre of the region. To get to the fortress follow the signposts when you enter the town of Provadia. You will pass through the Ovech eco trail on your way up to the fortress. The western entrance is accessible from the town through the original 111 step spiral staircase. There is an amazing panoramic view of Provadia from the top. A 150-metre bridge structure between the fortress and the plateau Tabiite (fully restored), multiple wells used for water collection (one of which is 80 m deep), tanks for grain, the ruins of the churches, the stone North Gate, remains of prison buildings and marble columns. Tickets cost 2 lv for adult and 1 lv for student and can be bought on site. 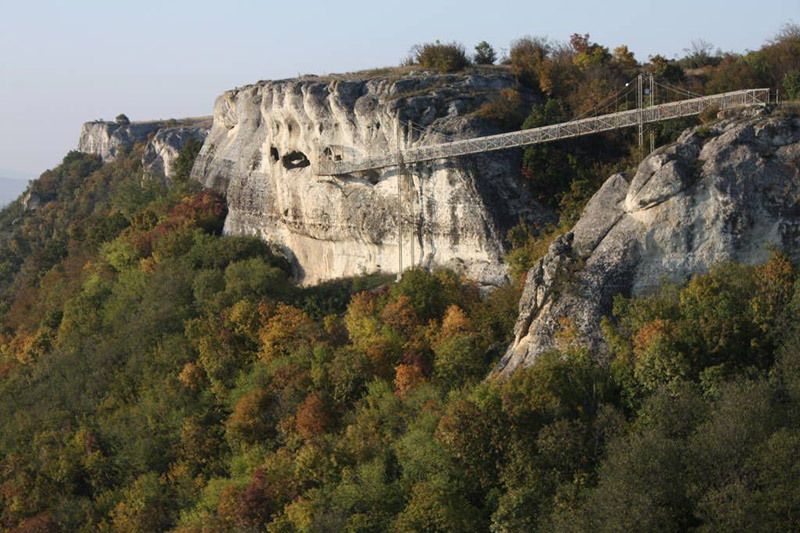 The Rock Phenomenon Chudnite Skali is located 4 km from Asparuhovo and it’s declared an important Natural Landmark. Since the rocks can be seen from the main road, they often attract travellers who stop to enjoy the view. 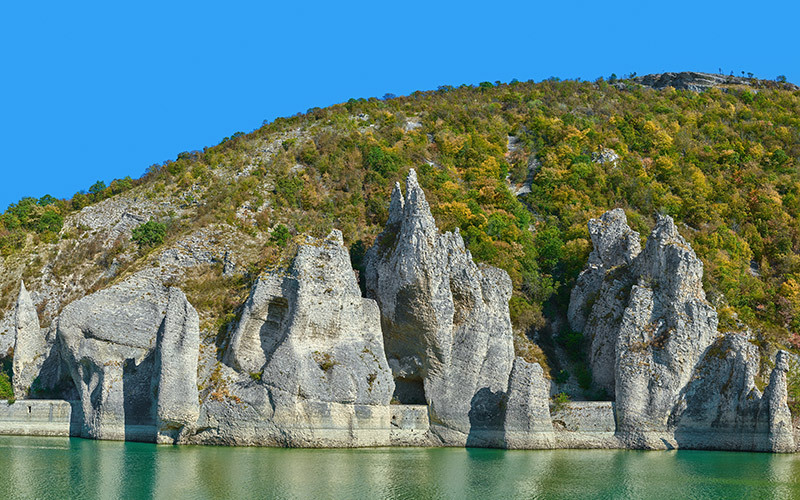 They represent a massif of about 10 natural rock formations that look like towers (40-50 meters high). They’re formed as a result of impact by water and wind on the limestone. The rocks rise from the shores of Tsonevo Dam and are a very popular spot for the lovers of rock climbing. The Shashkanite rock monastery is located about 1 km from the town of Provadia and has some of the most amazing panoramic views of the area. It’s situated on steep rocky cliffs and is made up of 5 cells that are joined together. The 5th cell is the largest and there’s a tomb in it. A steel bridge was built to reach the monastery. The spaces in the cells are very mystical and from their ever open windows, you can enjoy a beautiful view of the nature that surrounds the monastery. 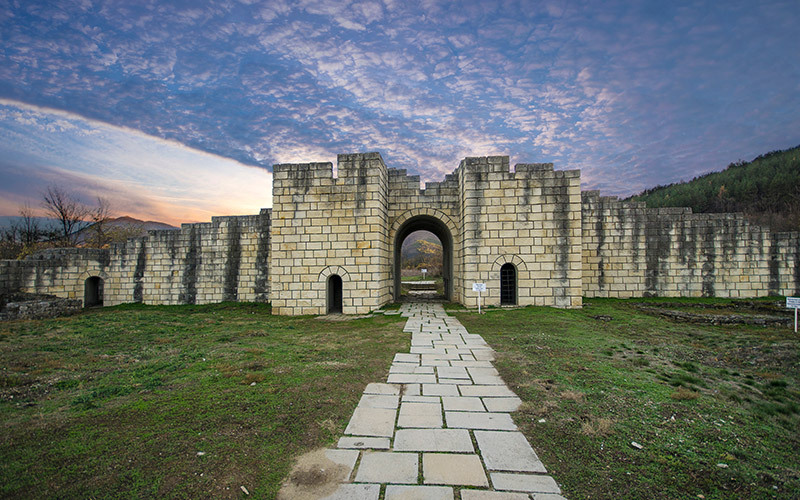 The village of Madara was the principal sacred place of the First Bulgarian Empire before Bulgaria’s conversion to Christianity in the 9th century. 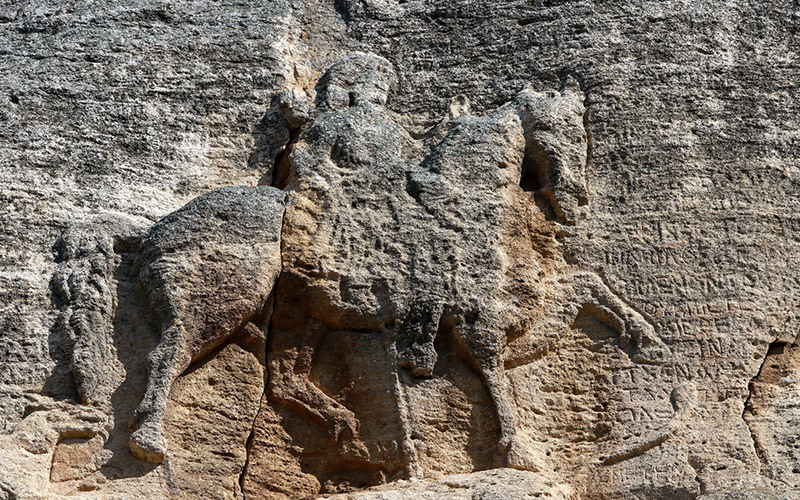 The Madara Horseman is one of the masterpieces of the early Middle Ages in Europe. The monument is a unique example of medieval Bulgarian art. It has been included in UNESCO’s World Heritage List. It was cut into a rock 23 metres above the ground somewhere around the beginning of the 8th century. The remarkable monument consists of 3 figures – a horseman, a lion and a dog and is represented in real size. The whole area is a wonderful historical reserve with amazing scenery. It’s often visited by locals and tourists who also enjoy the nearby park, caves, rock chapel and the fortress at the top. The proto-Bulgarians chose Pliska as their capital because of its great geographical location. The long valleys surrounded by hills were a favoured place where locals pastured their herds. 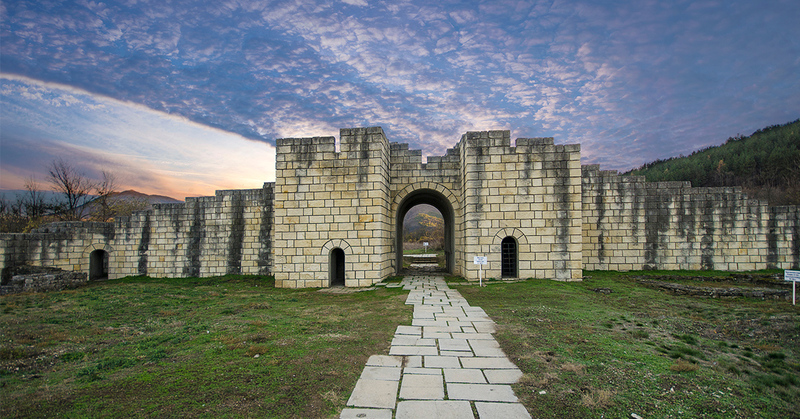 Pliska was the Capital of the First Bulgarian Empire from 681-893. The Great Basilica Complex is a place that shows the incredible building skills of the people who lived here more than 1000 years ago. The first structures in Pliska date back to the 7th century. Tourists can walk through the Imperial Palace which is well preserved and impressively beautiful. There’s a museum near the Palace which exhibits artefacts discovered in the region. You can also find a cafe for drinks and sandwiches as well as an area for recreation. Admission: Adult – 5 lv, Student – 2 lv. Tickets can be bought on site at the ticket office. Tours in foreign languages (German, English) cost 15 lv and can be booked by contacting one of the tour guides on +359 53 23 2012. Karen Alexanian (a philologist) is an Armenian from Yerevan who has been living in Bulgaria for over 20 years. He learned the history of Bulgaria and fell in love with the country and the language. Eventually, he developed an idea for a complex and began working on it. To do so he hired builders, architects and artists who helped make his vision a reality and he paid for it with his own money. In the Yard of The Cyrillic alphabet, you can find impressive sculptures – Cyrillic letters hand carved out of stone. They’re placed in front of the holy brothers Cyril and Methodius (who created the Cyrillic alphabet) and Boris I of Bulgaria. There’s a large cross behind them made of stone. Also in the complex, you can see a gallery with paintings that tell the story of the Cyrillic alphabet. The writer’s alley exhibits bust monuments of famous national writers. Tickets: Adult – 8 lv, Student – 4 lv. Tour guides are free of charge and you can book one at dvornakirilicata@abv.bg or by giving them a call on +359 897 949 718. Great Preslav was the second capital of the First Bulgarian Empire from 893 to 972. The architectural development of Preslav, as well as all the literary work that developed during the reign of Tsar Simeon (893-927), are referred to as the Golden Century of Bulgarian history. The great millennial history of Veliki Preslav still lives in the ruins of the fortress walls, palaces and churches. Much of what’s been left has been preserved in the Archeological Museum ‘’Veliki Preslav’’. A fortress walls both the external and internal city, and the Palace complex consists of 2 monumental buildings – the big palace and the western palace. The Throne Hall is very impressive and the Golden church is a unique monument for the history of Bulgarian architecture. Tickets: Adult – 6 lv, Student – 2 lv. An Audio Guide will cost you 6 lv and tour groups with a guide to the archaeological museum are 10 lv per person. Tours of the entire complex need to be booked in advance. 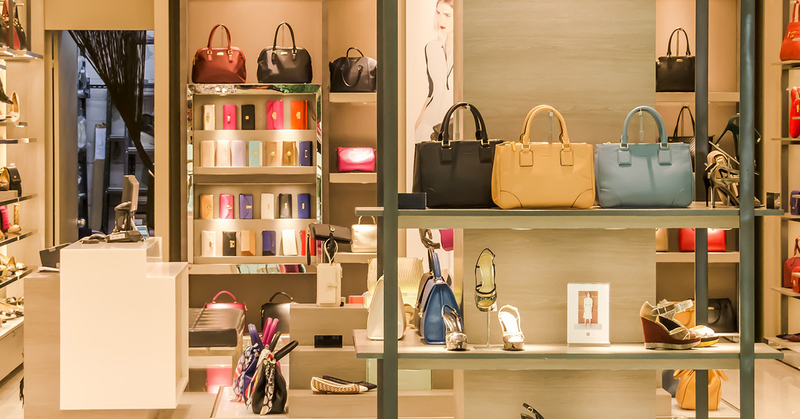 The cost is 10 lv and you can book by giving them a call on +359 538 43243. With so many unique and interesting historical places to visit in the Varna region, you can combine your holiday with the exploration of a really ancient country. 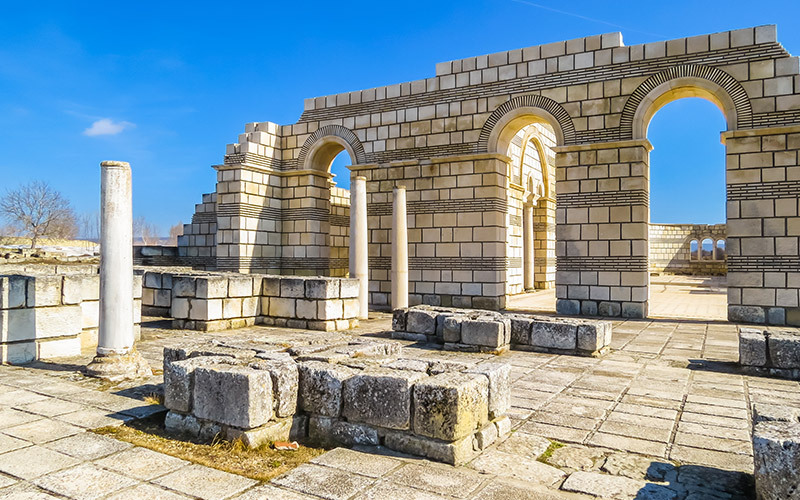 Bulgaria’s ancient heritage continues to attract visitors from all over the world – be a part of this legendary adventure!